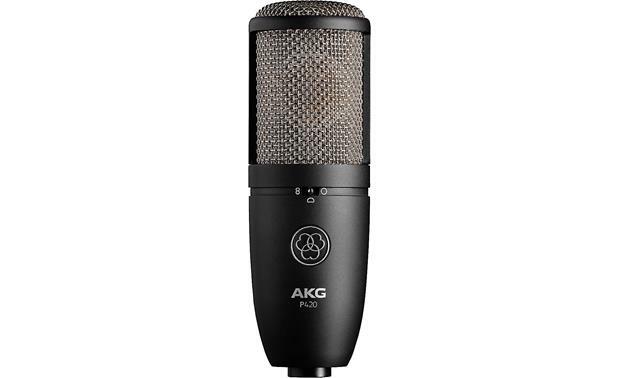 The AKG P420 was built for the demands of pro-level studio recording. 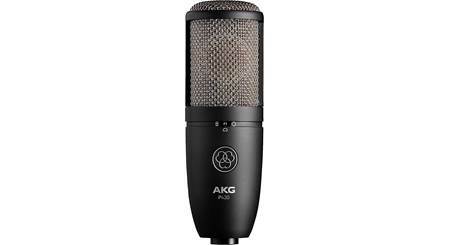 The AKG P420 was built for the demands of pro-level studio recording. Its large-diaphragm design allows it to capture subtle details and fast transients. 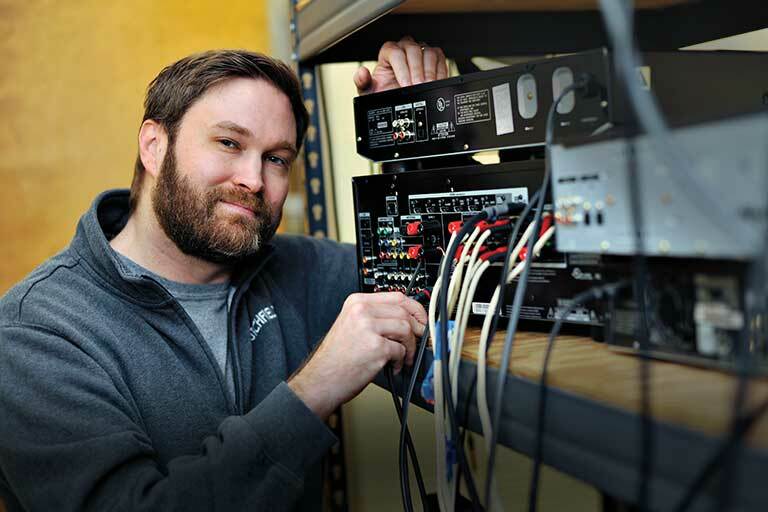 And with a maximum sound pressure level of 155 dB, you can close-mike just about anything, including loud instruments like drums and electric guitar cabinets. 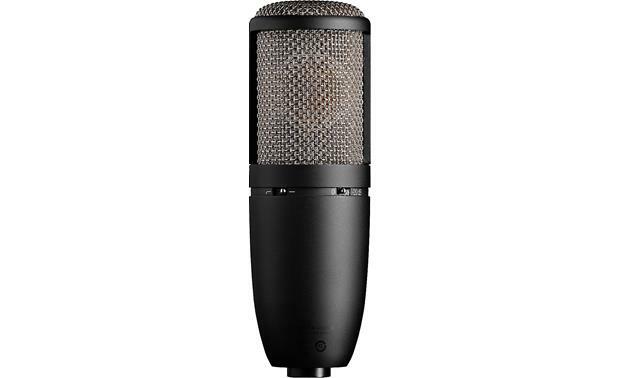 The mic has selectable cardioid, omnidirectional, and figure-eight polar patterns. Having that extra control over the mic's area of coverage makes it a great choice for stereo miking techniques and recording ambient sounds. 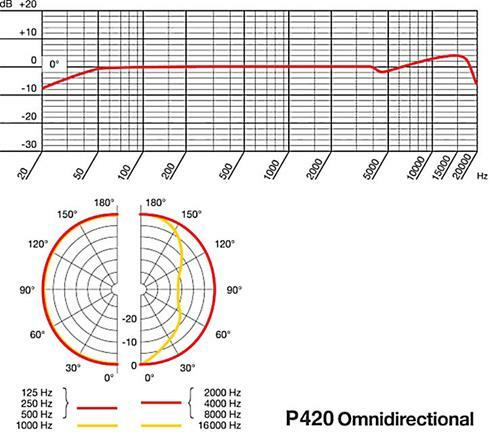 The AKG P420 has 3 selectable polar patterns including the omnidirectional setting shown here. A precision-tooled zinc/aluminum body and stainless steel grille resist dents and rough handling. The P420 comes with a spider-type shock mount, and a foam-lined aluminum carry case. 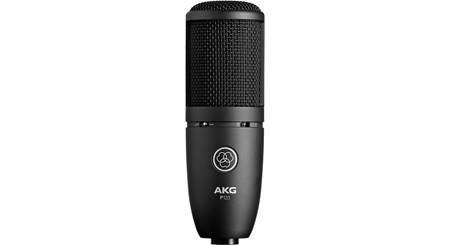 Overview: The AKG P420 is a multi-pattern, dual large-diaphragm, true condenser microphone for studio recording and stage performances. It is designed to give you a warm and clear sound for vocals, acoustic instruments, and brass instruments. It is rugged enough to work well in live performances. The mic comes with a spider shock mount, thread adapter, and a sturdy storage case. 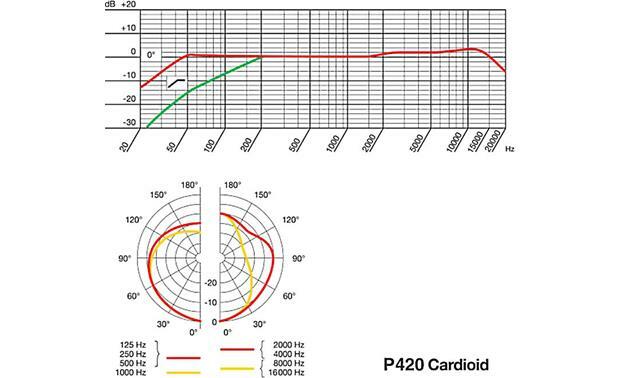 Bass Cut Filter: The P420 is equipped with a Bass-Cut filter which reduces low-frequency distortion caused by wind noise or air handling equipment. 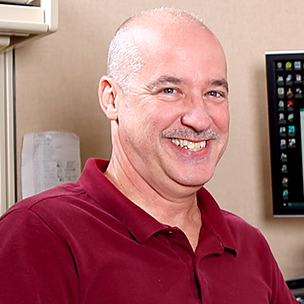 It also minimizes the proximity effect caused by close-miking from 4" or less. The Bass-Cut filter rolls off at 12 dB/octave from 300Hz downward. 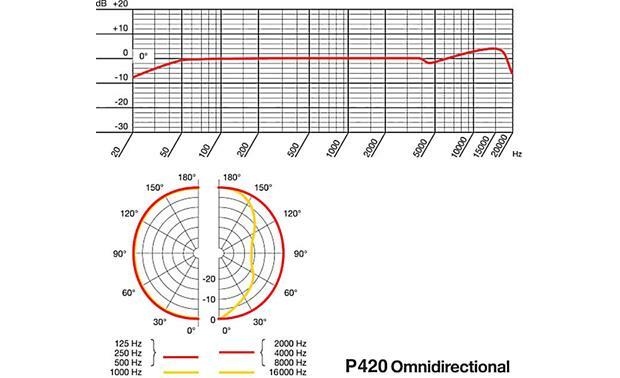 Attenuation Pad: The P420 is capable of handling sound pressure levels up to 155 dB without distortion when the switchable Attenuation Pad is engaged. The pad increases the headroom by 20 dB, and prevents the microphone's output level from overloading the transformers used in mixer mic preamps. 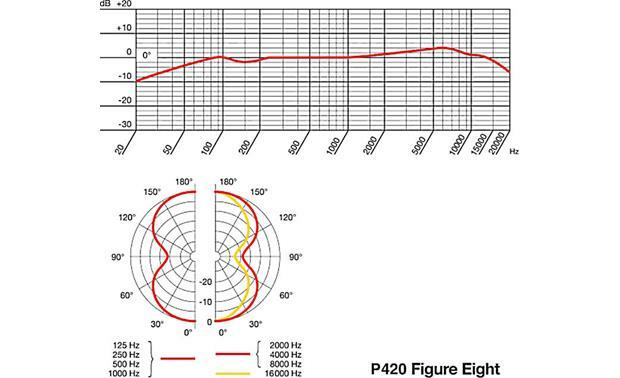 Without the pad, the maximum SPL without distortion is 135 dB. Shock Mount: Included with the P420 is the SH100 Spider-type Shock Mount. 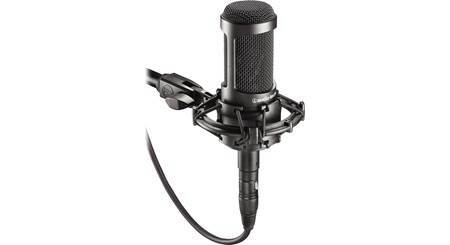 The shock mount isolates the microphone from mechanical vibrations and noise that might be transmitted through the mic stand. The shock mount has a 5/8"-27 thread, and comes with a metal thread adapter, to let you mount it to stands with 3/8"-16 threads. 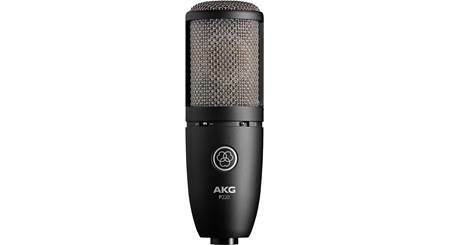 Searches related to the AKG P420 Large-diaphragm multi-pattern condenser microphone.